There are always questions we wish we could ask pilots about the process of air travel. Reader's Digest felt the same way, so it asked commercial airline pilots to share some of their secrets. Pilots answered 40 questions, covering everything from the best time of day to fly to their ​least-favorite airports to visit. Below are 15 answers to those burning questions. The Federal Aviation Administration is the agency that oversees passenger airlines. Sometimes on flights, a crew member may cite an FAA regulation that seems silly. 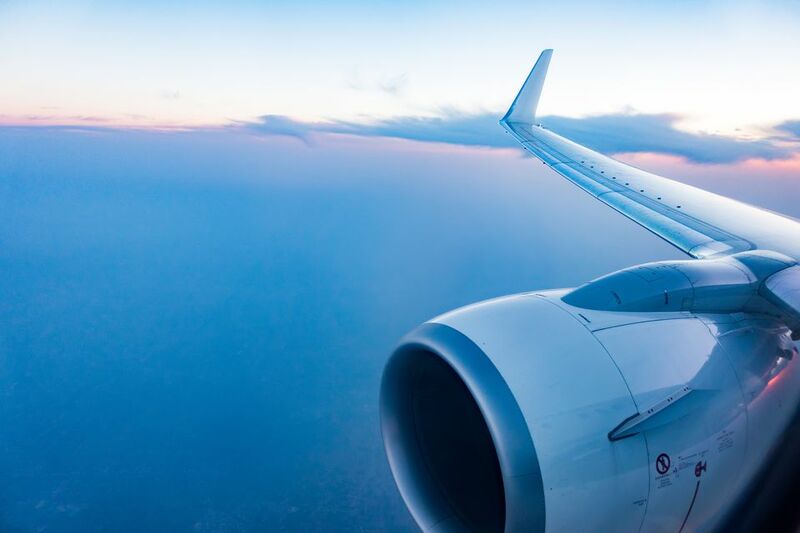 A retired captain noted that flight attendants can serve hot coffee as a plane goes 400 miles per hour at 40,000 feet in the air, but passengers have to be completely buckled in while rolling on the ground at five to ten miles an hour. Although airline fuel prices have plummeted in the past few years, it's still a cost they watch carefully. A pilot reveals that carriers fuel planes just enough to get to the destination, but if there's a delay, you may be forced to land at a closer airport. Even with rule changes designed to give pilots more rest, it still isn't enough. A former airline captain admits to taking catnaps in the cockpit and sometimes there isn't even enough time to get food. Every traveler has been through a weather delay. There's always that one passenger that checks the weather in the arrival city and notes that it seems to be fine. But the pilot says it's not the destination city that's the problem; its the airspace between the two cities that is causing the delay. Although FAA regulations allow parents to carry babies up to two years old on their laps, most pilots agree that this practice is very dangerous. Why? If there's turbulence, impact, or deceleration, you can lose control of your child with tragic results. Hands down, pilots' least-favorite airports are Ronald Reagan Washington National Airport and John Wayne Airport in Orange County, California, because both airports have noise restrictions that make flying in and out a challenge. They also both have short runways that require fast take-offs. A regional jet pilot based in Charlotte, North Carolina, admitted that most pilots have experienced a lightning strike, but assures travelers that airplanes are built to take it. "You hear a big boom and see a big flash and that's it. You're not going to fall out of the sky," he said. The worst place on the plane for turbulence and movement are the seats in the back since airflow goes from front to back. Sitting in the middle, over the wing, is where the air is smoothest and can be comforting for nervous flyers. "A plane is like a seesaw. If you're in the middle, you don't move as much, says Patrick Smith, a pilot and author of Cockpit Confidential. Passengers tend to worry when there's turbulence on flights. But pilots have something they worry about more: Updrafts. Retired pilot and air safety expert John Nance says that when a plane flies into a massive updraft, which you can't see on the radar at night, it's like hitting a giant speed bump at 500 miles an hour. Pilot Smith adds that they find it perplexing that so many people are afraid of turbulence. It's all but impossible for turbulence to cause a crash. Those words are "one of our engines just failed." Instead, pilots say, passengers will hear the words "one of our engines is indicating improperly" or they'll say nothing at all. Modern jets are built to be able to continue to fly if one engine is lost. Airplanes can be hell for germaphobes, making them nothing more than flying Petri dishes. You may want to keep at least hand sanitizer and baby wipes in a ​personal airline amenity kit. Why? Because aircraft cleaners don't have time to wipe down an aircraft between flights, so things like seatback trays, air, and light controls, seatbelts and lavatories are breeding grounds for germs that cause illness. Thanks to the Department of Transportation, there's an emphasis on on-time performance where pilots aren't allowed to delay a flight anymore. A Charlotte, North Carolina-based pilot admits that airlines have adjusted flight arrival times so they can have a better record of on-time arrivals by saying a flight takes two hours when it really takes an hour and 45 minutes. Most travelers listen to the pilot when he or she says to keep your seatbelt on, even when the seat belt light is turned off. The flight attendants will remind passengers to keep them on, but when the pilot comes on the intercom and asks the flight attendants to sit down, that means you need to listen. Landing a plane takes skill. Some travelers like to secretly rate pilots on their landing. It turns out that when a pilot has a perfect landing, they actually appreciate it when you point it out, according to Joe D'Eon, a pilot at a major airline. A captain at a major airline advises passengers to wear a pair of sturdy shoes when flying. God forbid there was an emergency, you wouldn't want to evacuate a plane that might be on fire or standing in mud and weeds wearing a pair of flip-flops. The remaining pilot is perfectly cabable to fly and land the plane. Carriers went all out to advertise routes; here are 10 great examples. You won't believe some of the great gifts you can buy at an airport. These tips will ensure you have a safe flight.